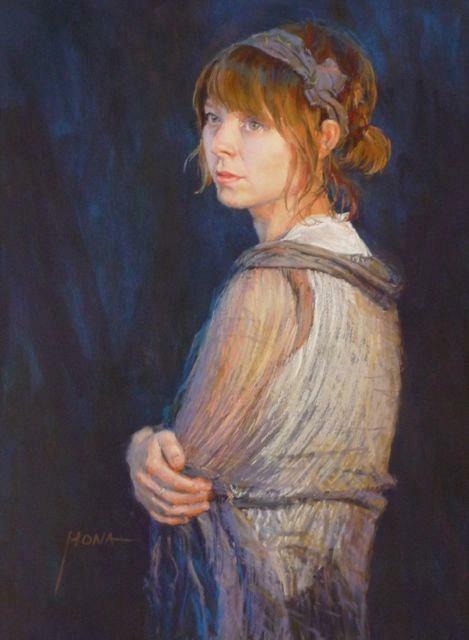 Regina Hona is an Australian artist, art show judge and tutor who's speciality is painting portraiture and water subjects. 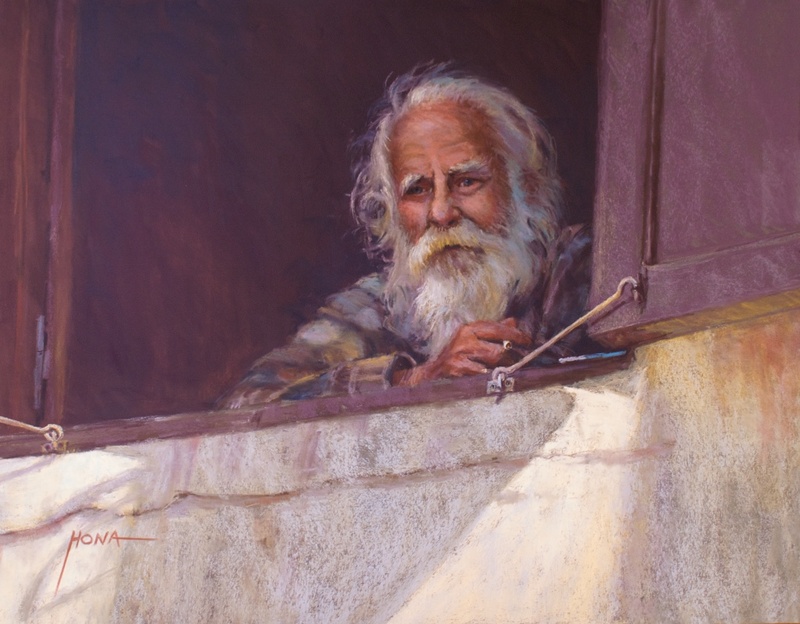 Regina Hona is a full-time professional artist, having studied classical tonal realism in oil many years ago. 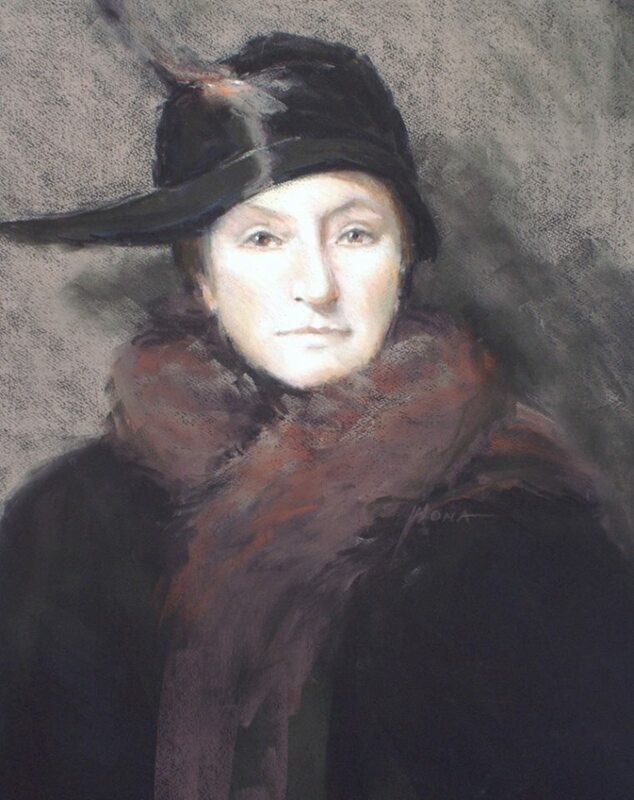 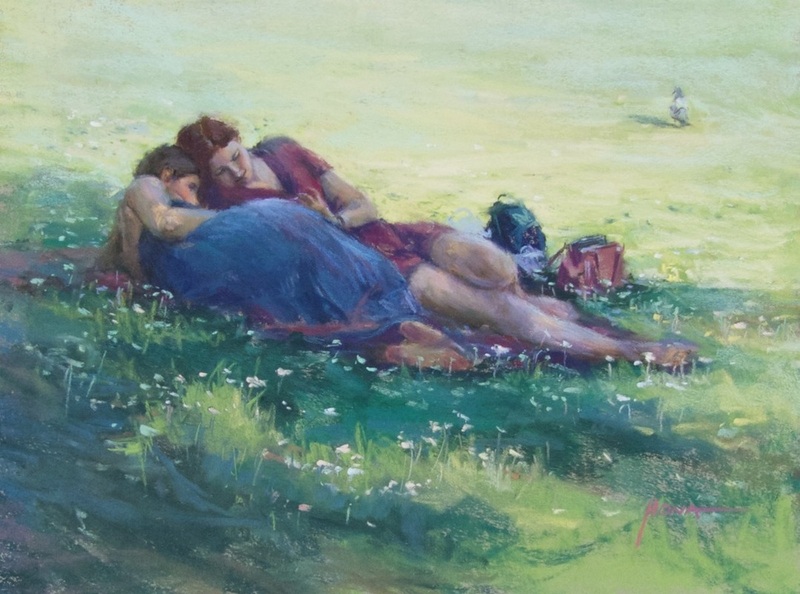 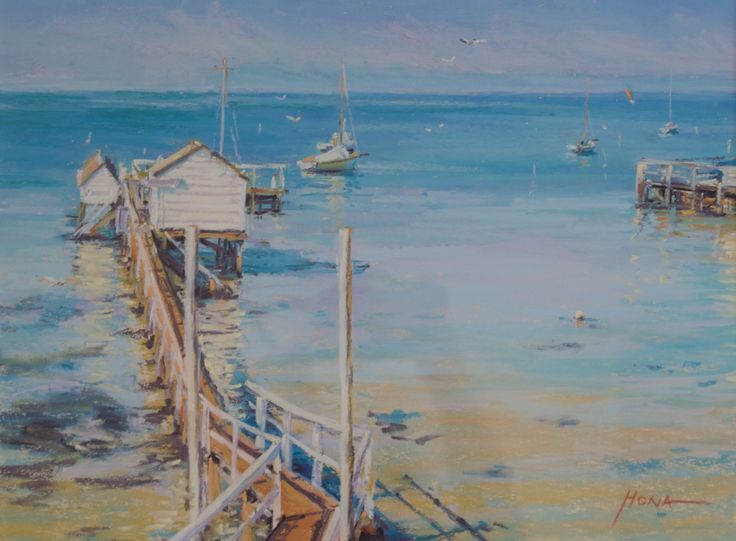 It was the discovery of pastels that allowed her to embrace her painting with a new intensity due to the limitations that oil painting imposed whilst raising a young family. 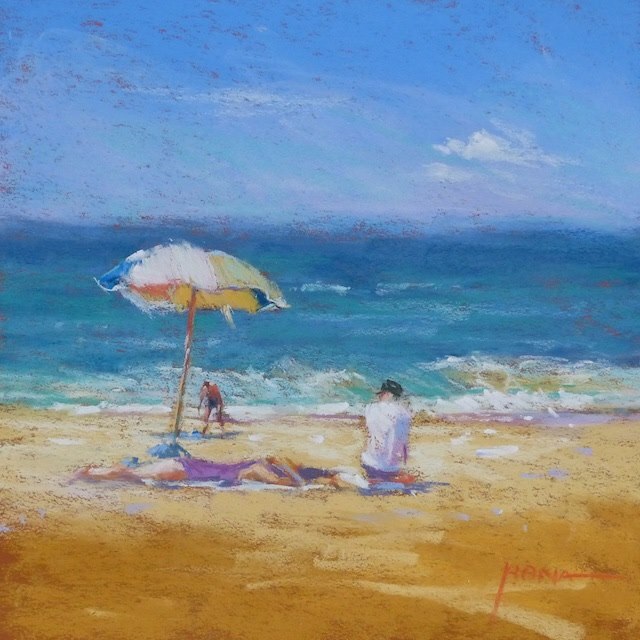 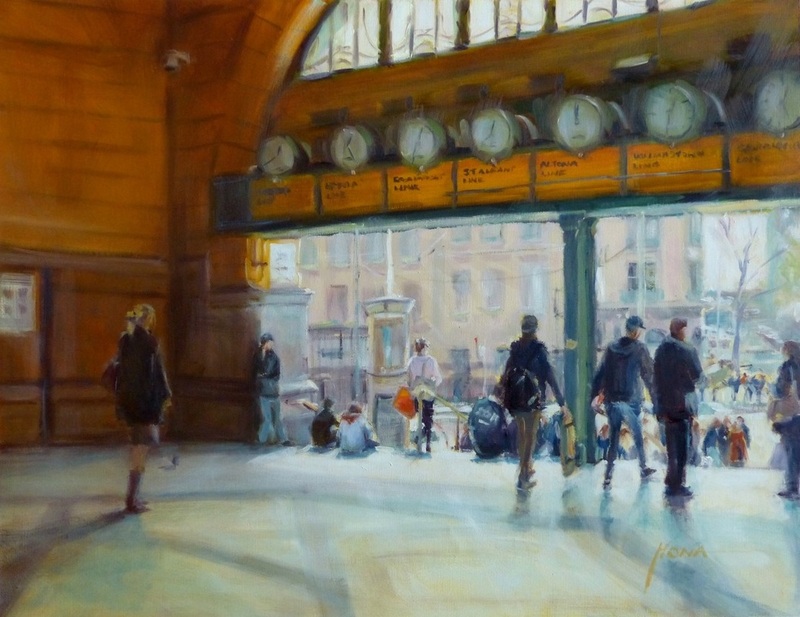 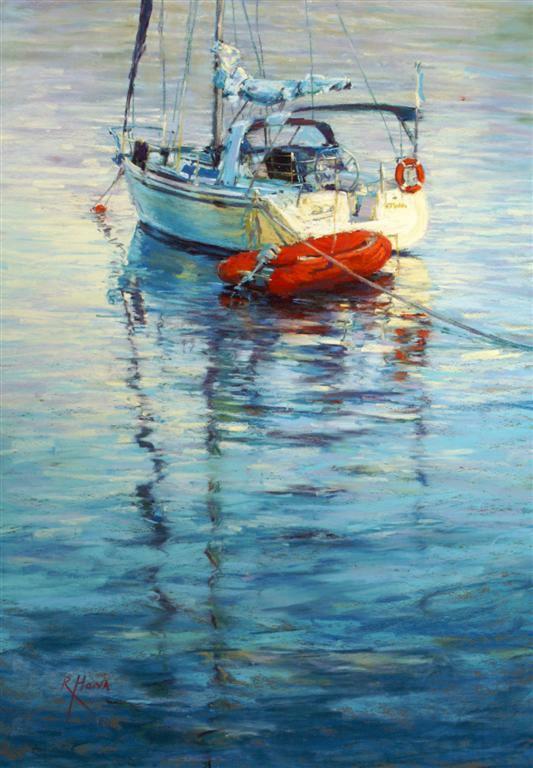 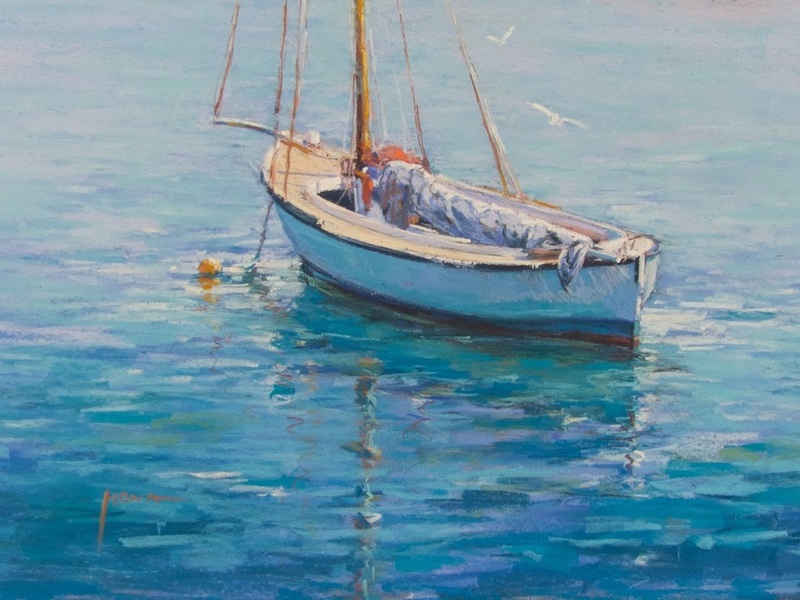 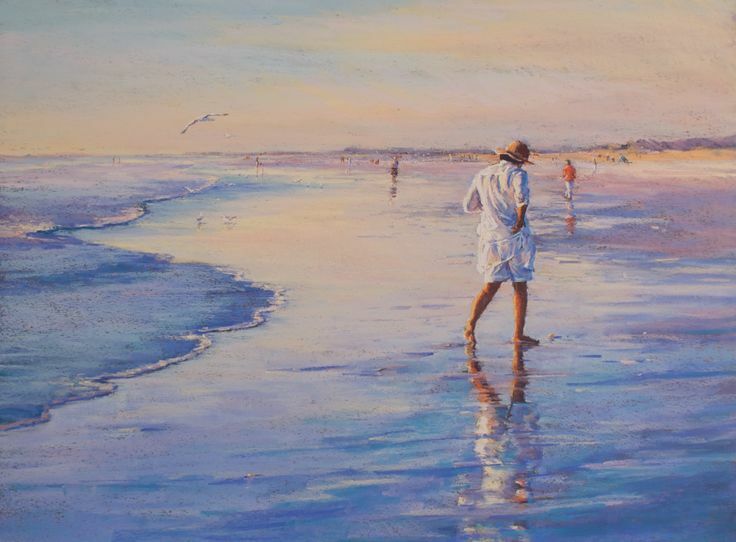 Although she has returned to painting in oils and has experimented with other mediums, she loves soft pastels because of their immediacy and versatility. 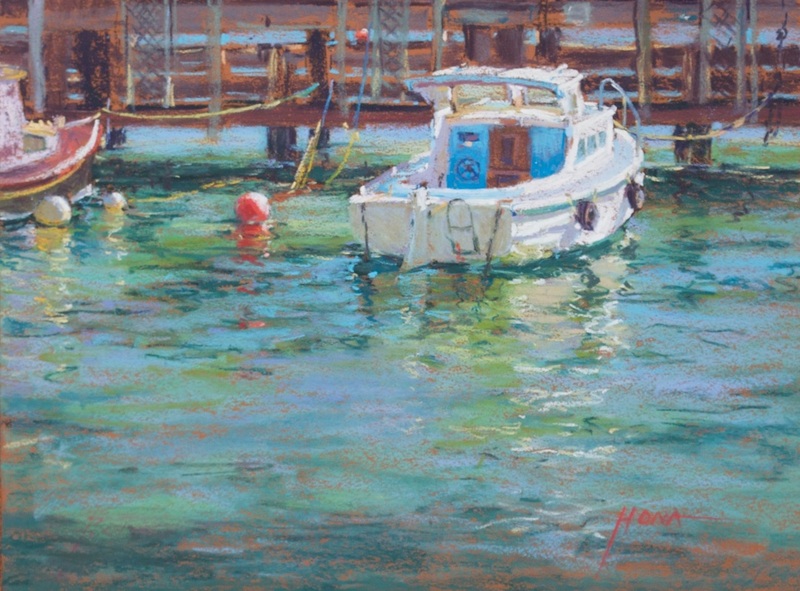 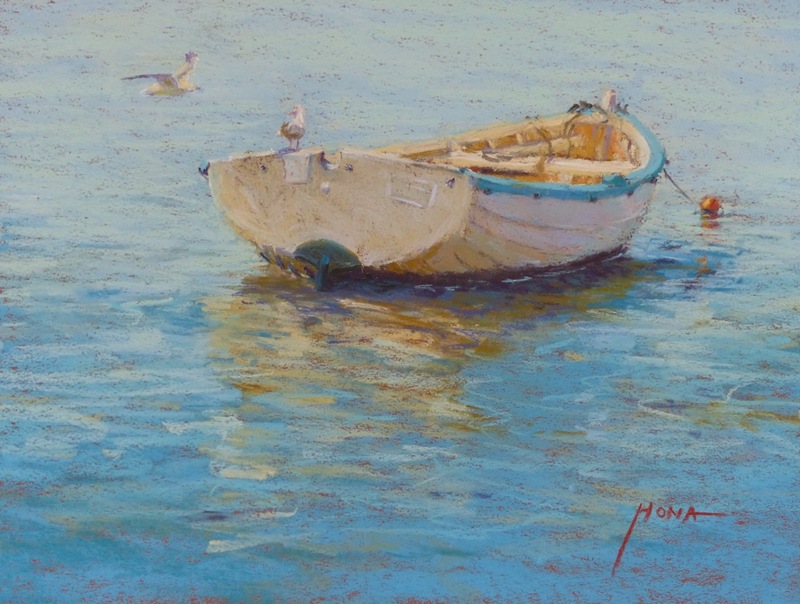 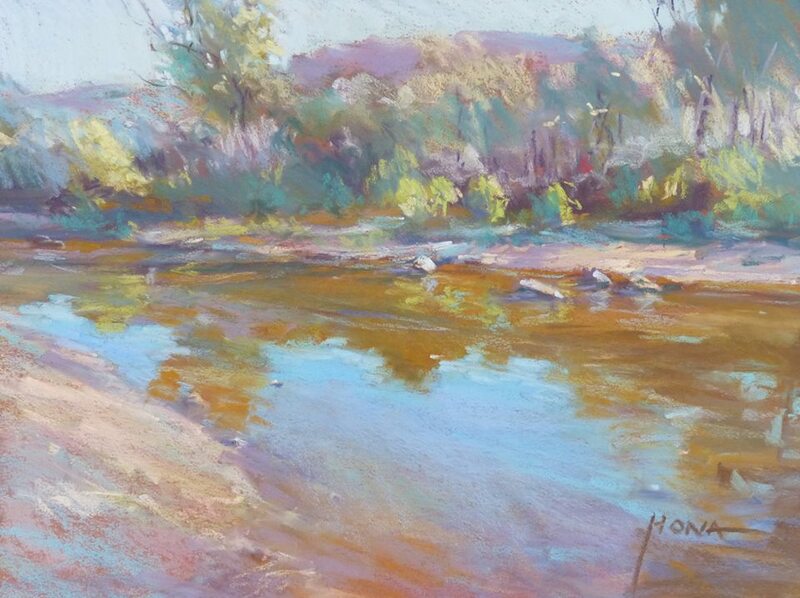 It has the advantage of speed and directness and the smooth, thick quality of soft pastels produce rich, painterly effects. 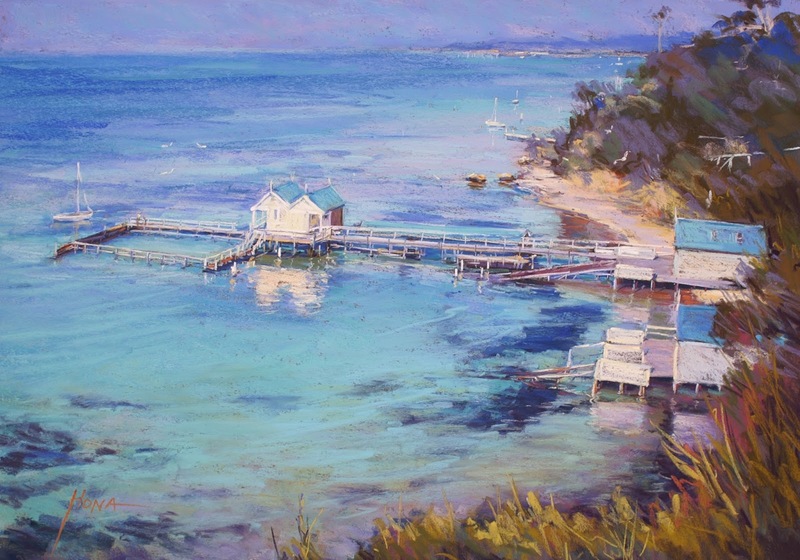 The soft and vibrant colours help create varying atmospheres where can focus on the effects of light and shade in the subject. 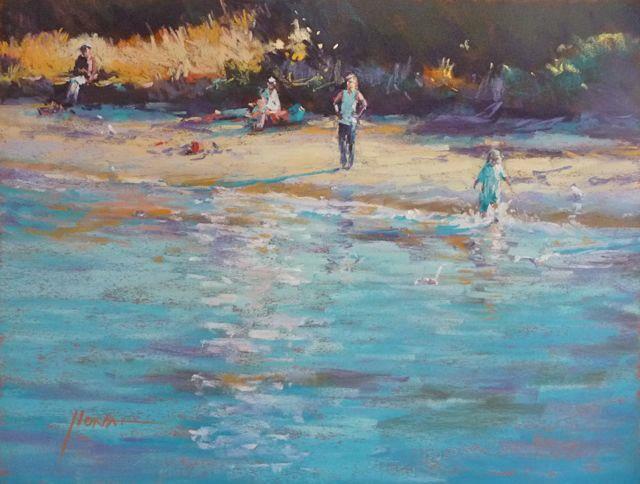 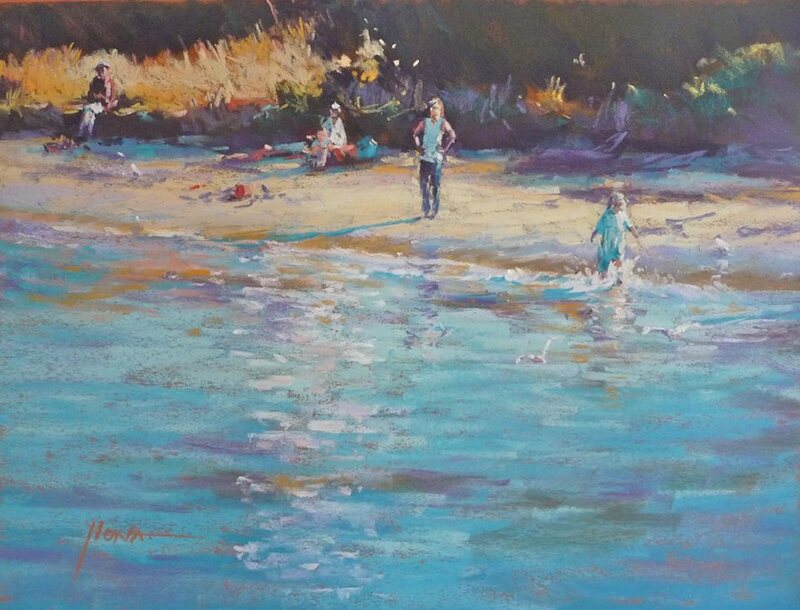 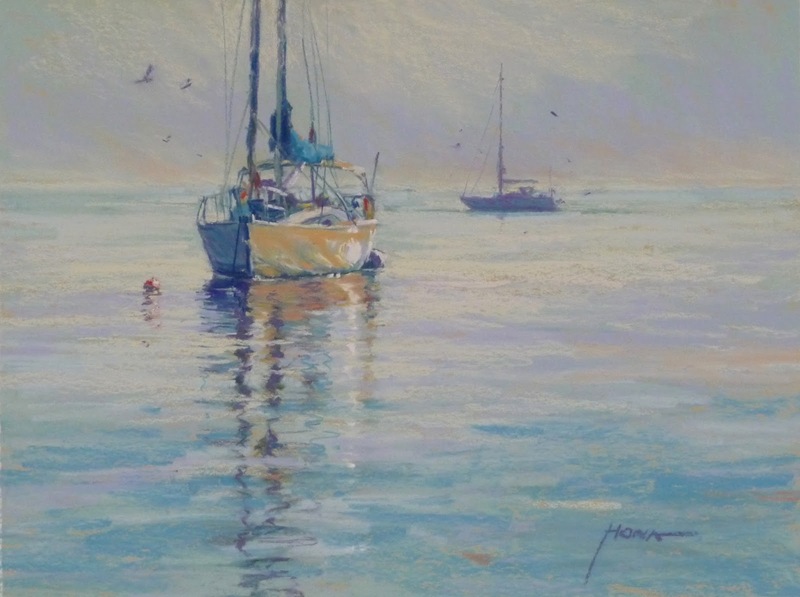 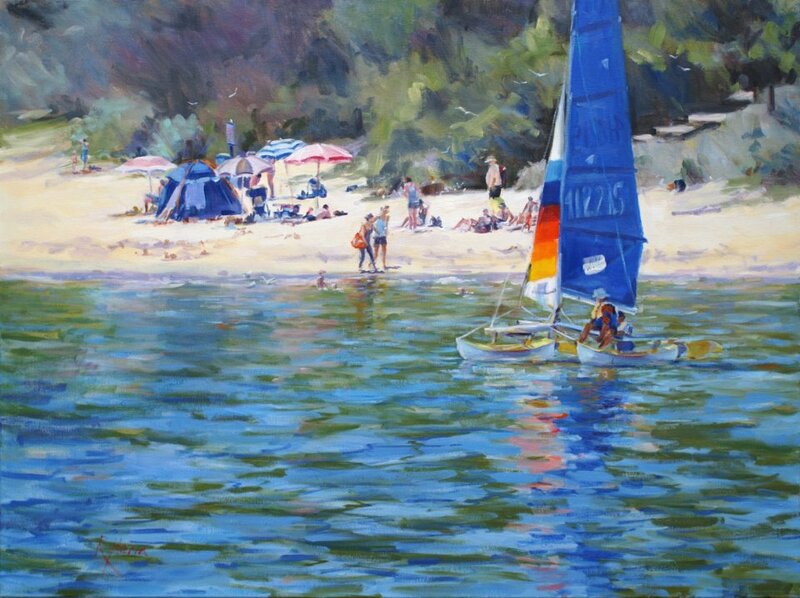 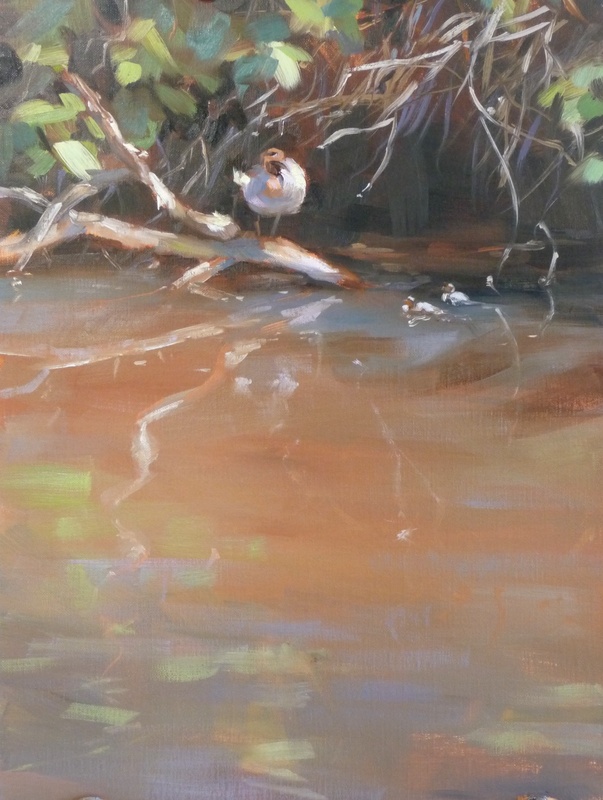 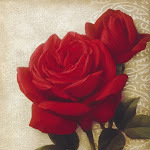 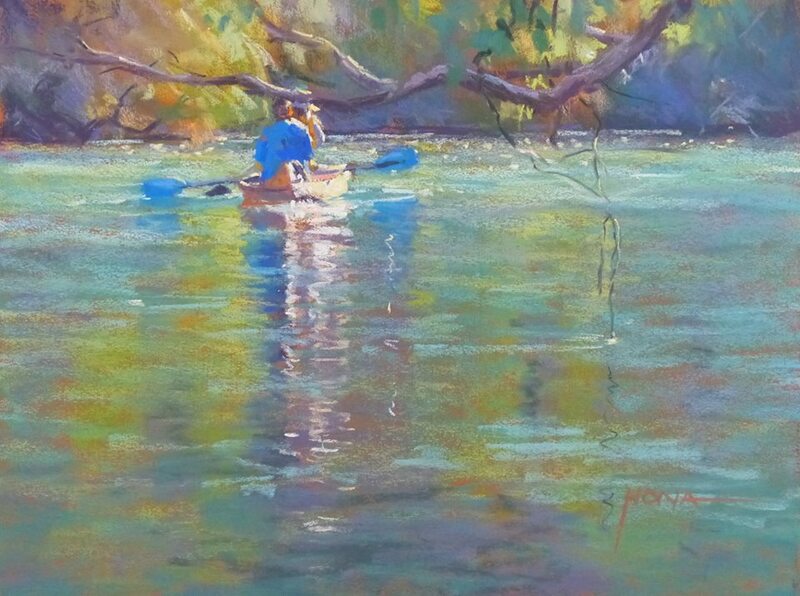 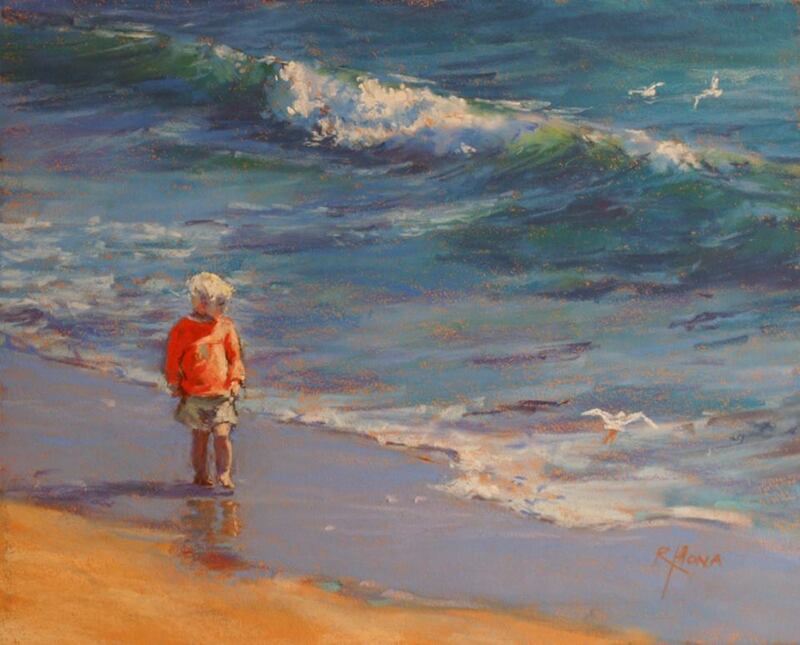 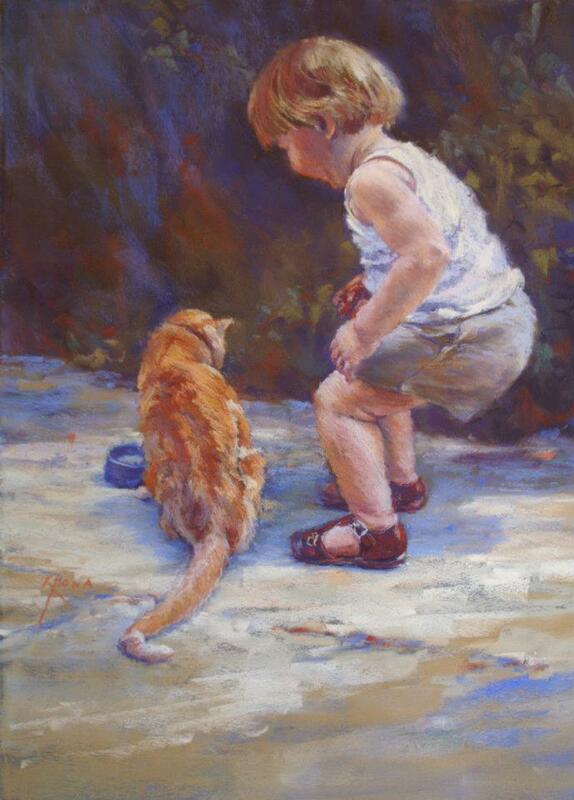 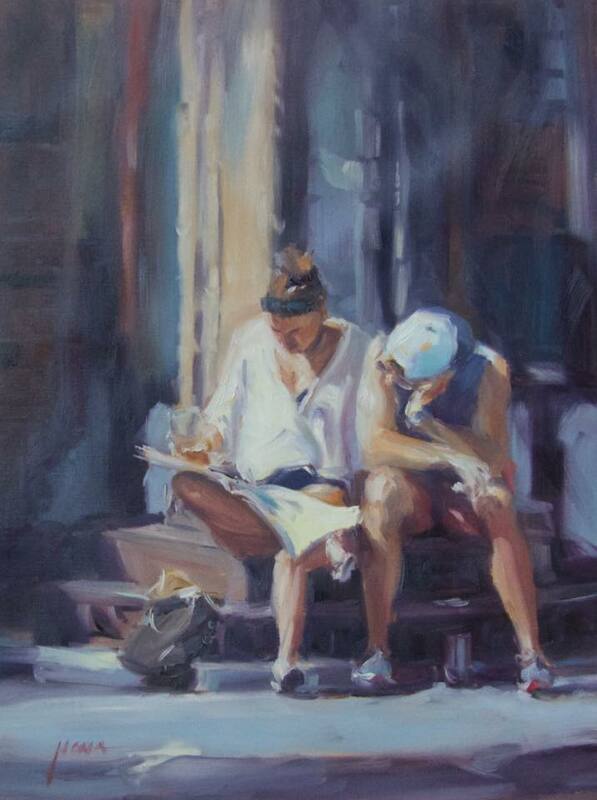 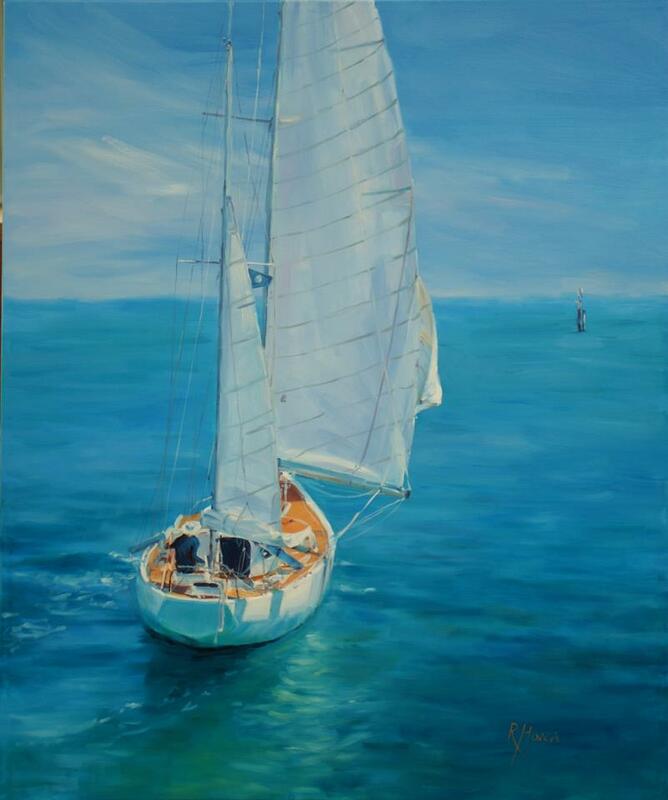 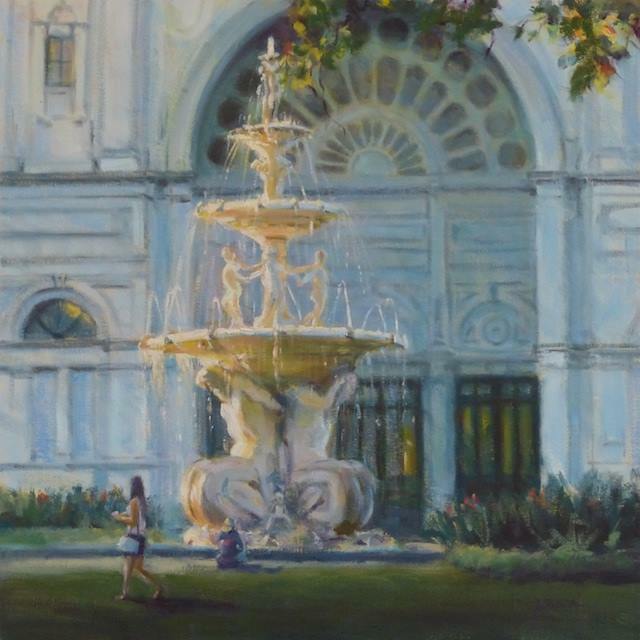 Regina can paint any subject, but she now specialises in water subjects and the human form. 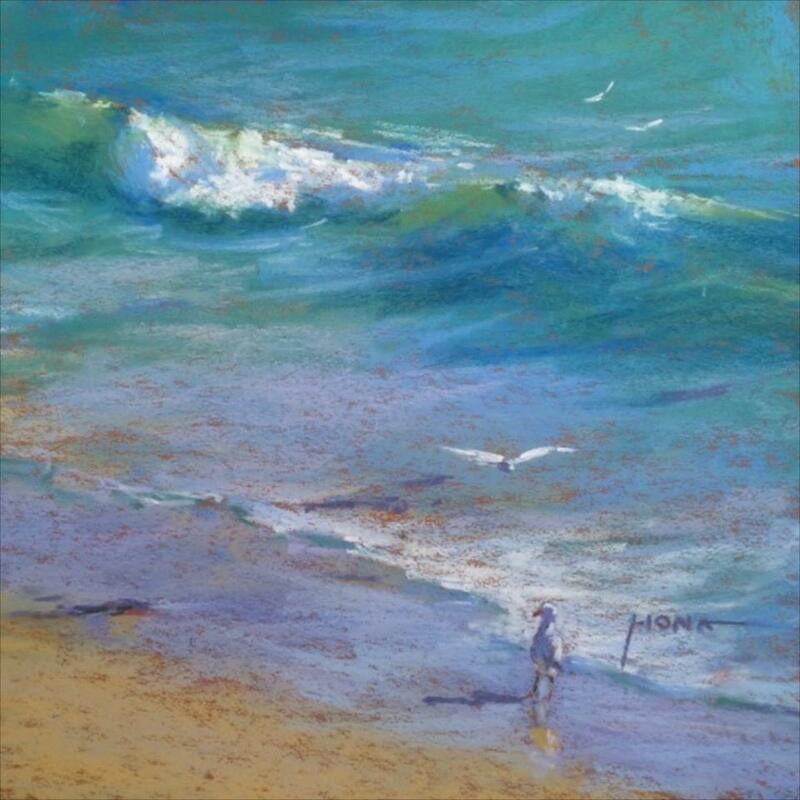 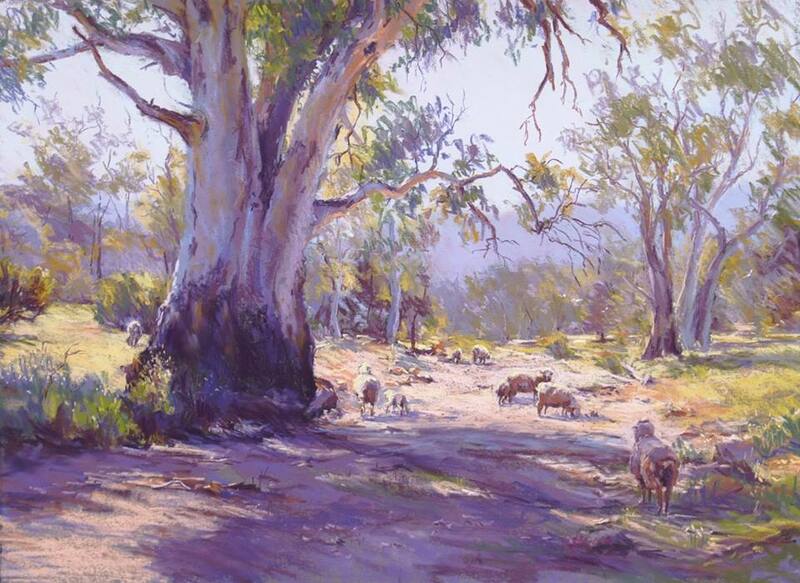 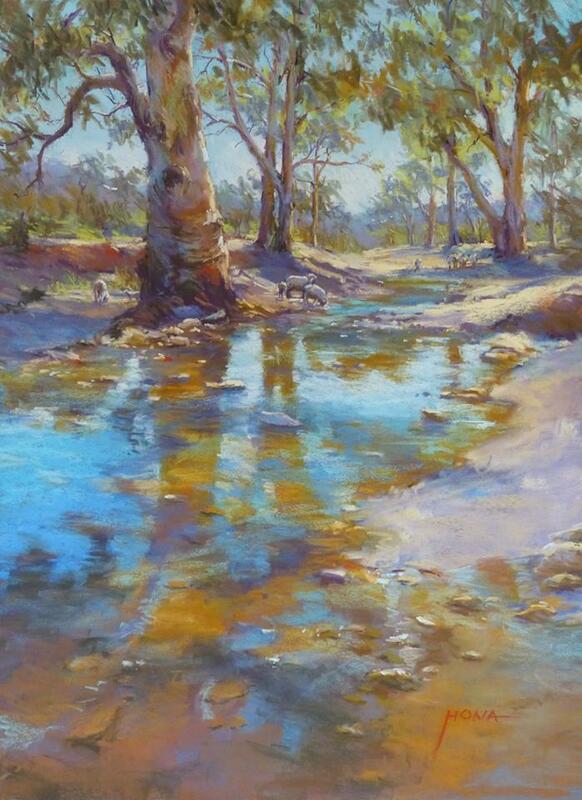 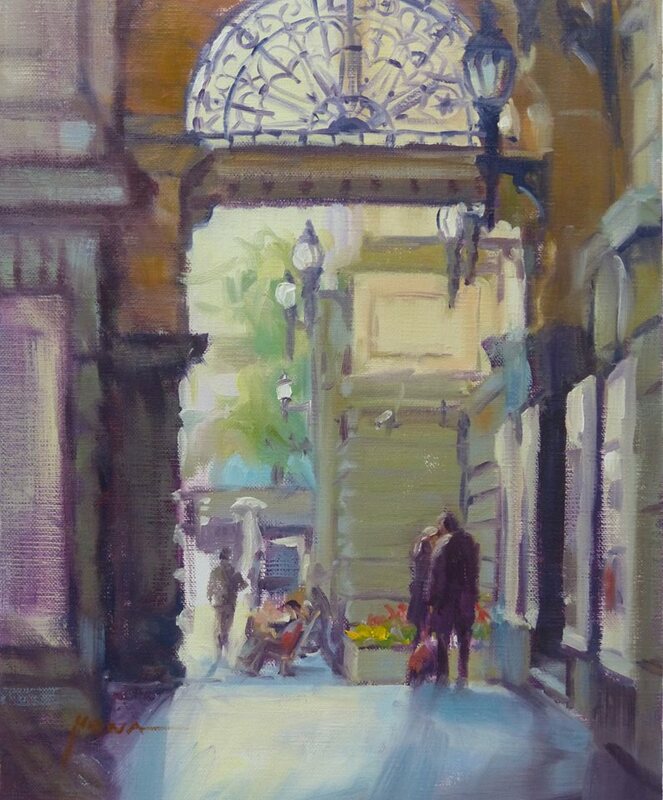 Regina is a past Treasurer and President of the Pastel Society of Victoria (2001-2004) and travels within Australia conducting workshops for various art groups. 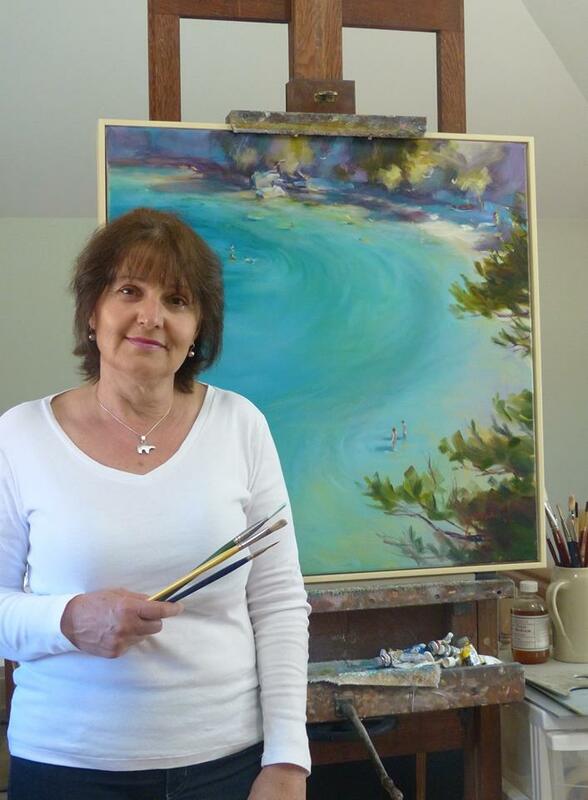 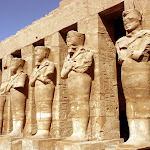 More recently she is being sought to judge art shows and takes overseas tours. 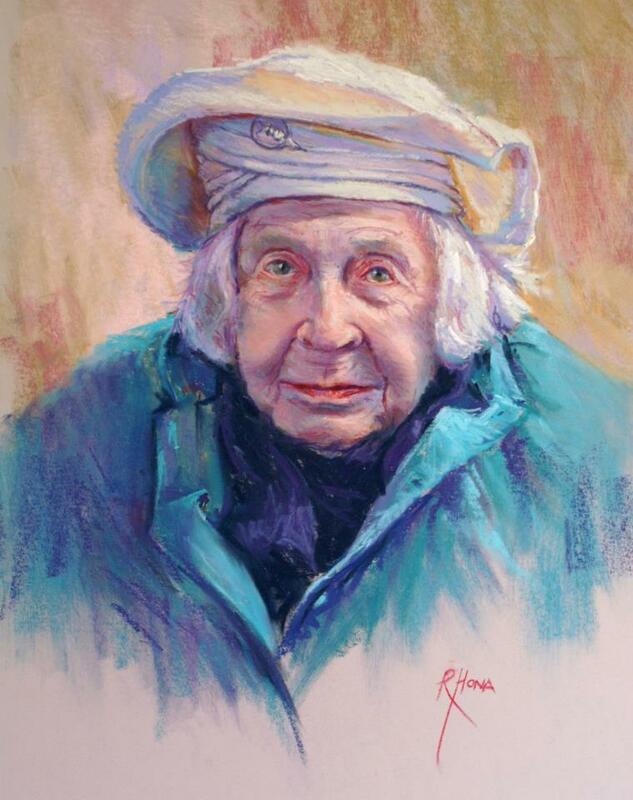 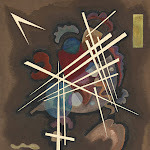 Regina’s work has also been published in art magazines and books. 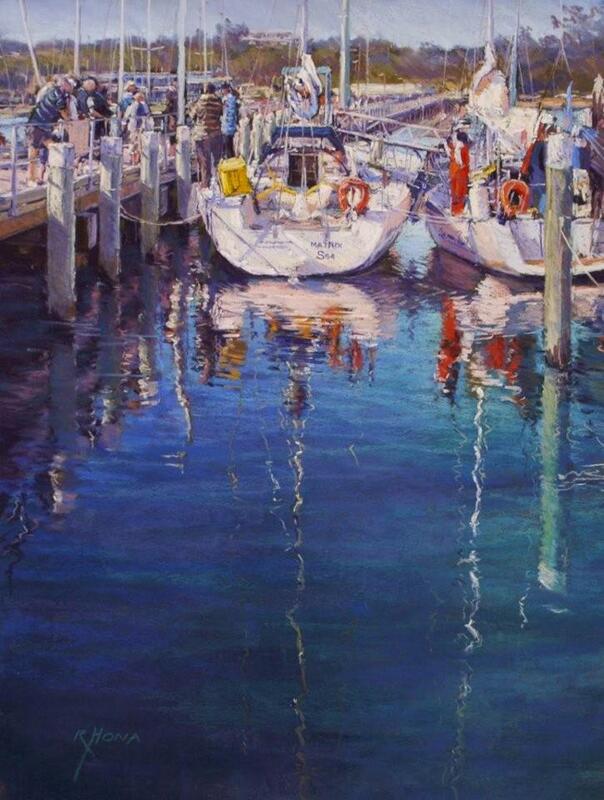 More recently I have been a finalist several times in the ANL Maritime Art Prize, Shirley Hannan National Portrait Award; the Alice Bale National Study Grant and also for the Works on Paper and Oil sections of the AME Bale Prize. 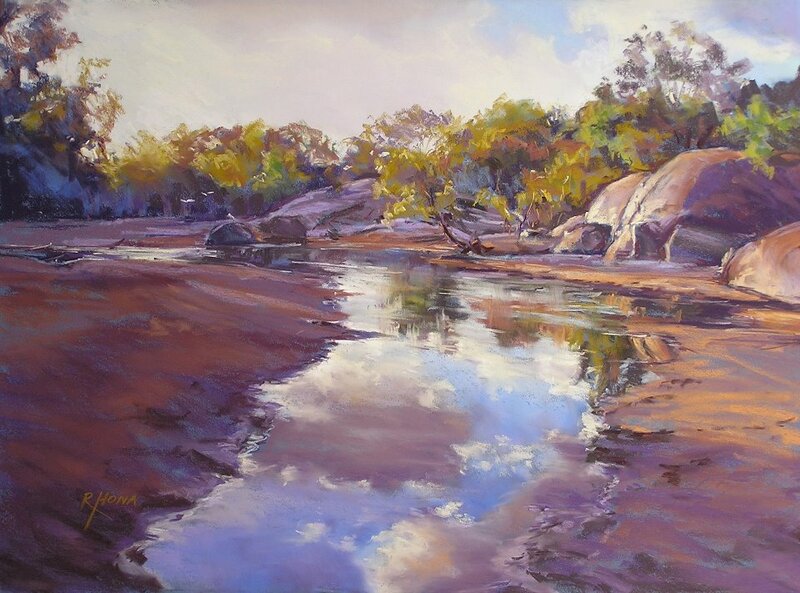 In 2007 I was awarded the Terry Collins Medallion at AGRA's Australian Art Excellence Awards and in 2008 became a Fellow of the Australian Guild of Realist Artists'. 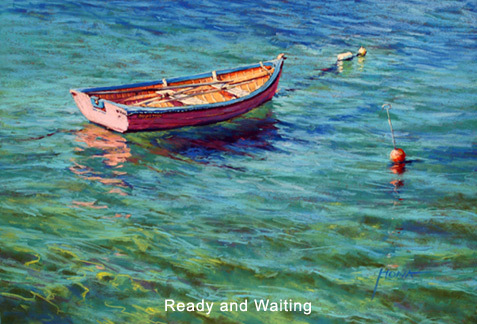 International Artist Magazine #34 December/January 2004 - 'Make Coloured Backgrounds Work for You'. 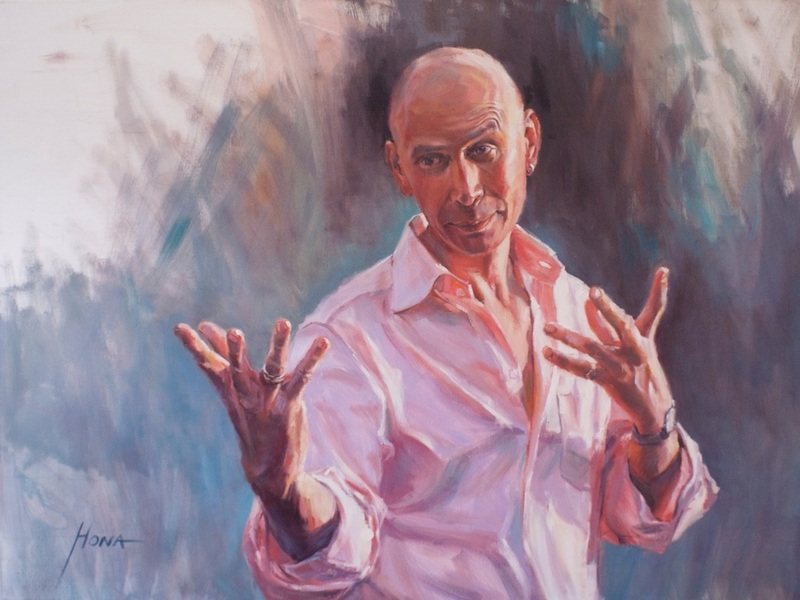 I held my first solo exhibition in 1999 and regularly exhibit in solo or group exhibitions. 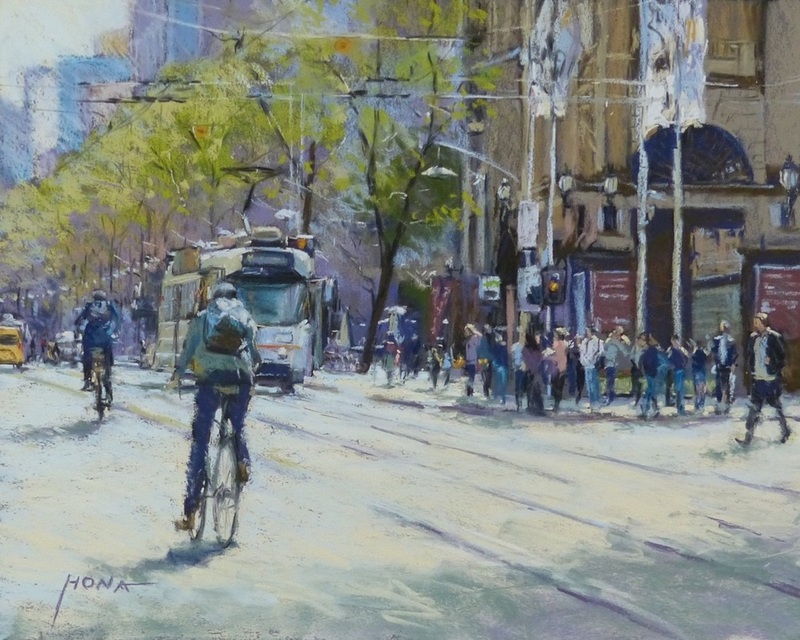 I am a member of the Melbourne artist group Fusion Six having achieved considerable success through our ABOUT FACE touring exhibition since its inaugural exhibition in March 2007 at Glen Eira Council City Gallery that had over 2500 visitors and subsequent Book Launch. 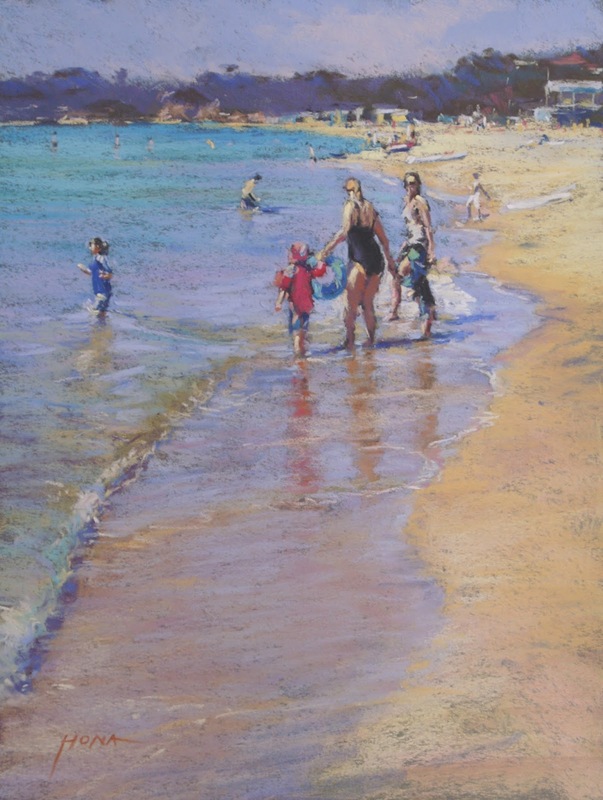 The exhibition toured to Bundaberg Art Centre in Queensland; Wangaratta Regional Gallery in Victoria and Latrobe Regional Gallery in Morwell, Victoria finishing on January 10, 2010. 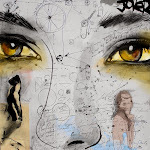 We are currently working on our next 2 year project that will be even more thought provoking. Over the years my work has been acknowledged with a growing number of awards such as the Terry Collins Medallion; Ming Mackay Award; Best in Show, Runner-up Best Pastel or Best Other Medium; Best Seascape or Landscape as well as Highly Commended and sponsor awards.